Since seeing the Alexander McQueen: Savage Beauty exhibit at the V&A Museum in London in 2015, I’ve had a sketch above my desk of the coiled corset that McQueen worked with jeweler and close collaborator Shaun Leane to create. 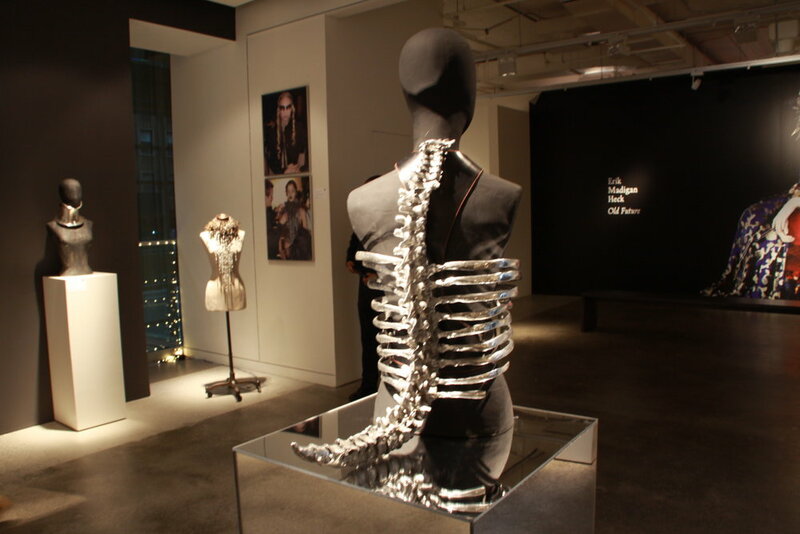 I’ve always been in awe of the haunting beauty of the pieces that Leane created for the McQueen runways. The concepts behind these pieces almost defy the imagination until you see them in person and they just make so much sense. To me, it’s that true creativity and originality that define the value of those pieces rather than the worth of their materials. I was a classically trained goldsmith, so my thinking was diamonds, gold, platinum, so when he actually asked me if I would work with him I found it quite daunting, to be honest. I said, “Lee, I don’t understand. How are we going to make diamond jewelry for your shows? You’re just out of college; I’ve just finished my apprenticeship; we can’t afford it. Plus, the pieces would have to be so big to be seen on the catwalk.” It was then I think that my career changed because Lee turned around to me and said, “Shaun, we won’t work in diamonds and gold. You’re a very skilled craftsman. If you just apply those skills to any medium, you can create anything.” He said we’ll work in silver or brass or aluminum and feathers. I thought, Of course! Why not? He took me out of my comfort zone, I suppose, and the journey began. The auction of those pieces totaled nearly $3 million USD. See all the pieces on Sothebys.com.